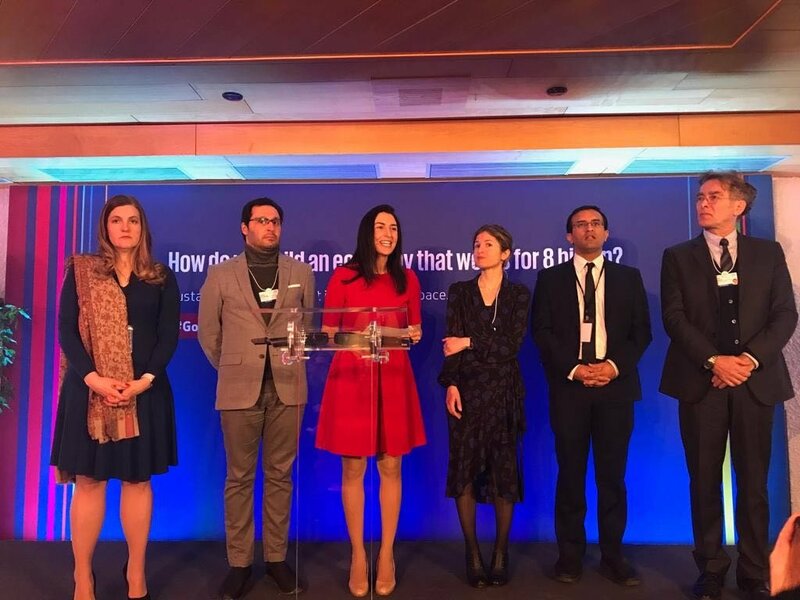 Fundación Capital’s President and CEO Yves Moury participated in the 2019 World Economic Forum Annual Meeting in Davos, Switzerland by invitation from the Schwab Foundation for Social Entrepreneurship. 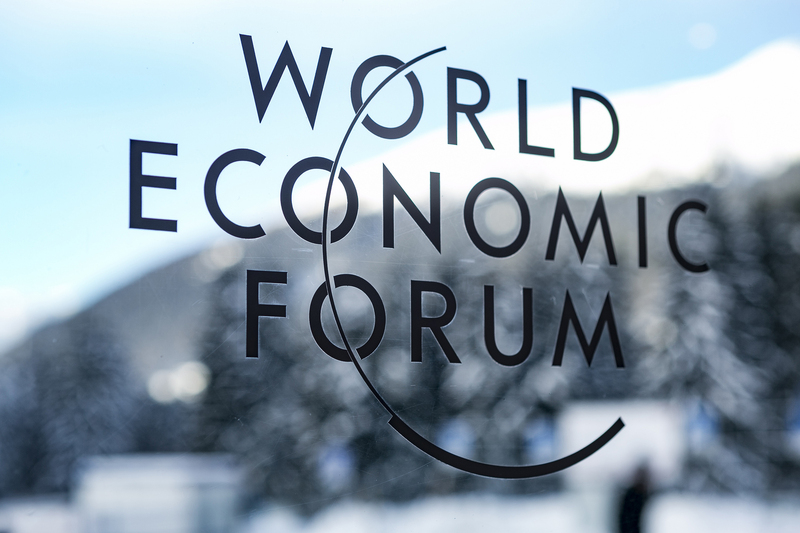 The World Economic Forum engages the foremost political, business and other leaders of society to shape global, regional and industry agendas. It believes that progress happens by bringing together people from all walks of life who have the drive and the influence to make positive change. The Forum hosts an annual invitation-only meeting in Davos-Klosters, Switzerland, convening governments, international organizations, business, civil society, media, leading experts and youth from all over the world in more than 400 working sessions to discuss how to cooperate on the global, regional and industry challenges ahead. It engages over 100 governments and 1,000 companies at the highest leadership levels. In 2017 Yves Moury received the “Social Entrepreneur of the Year” award from Schwab Foundation for Social Entrepreneurship, which grants him the honor of participating in the Forum. 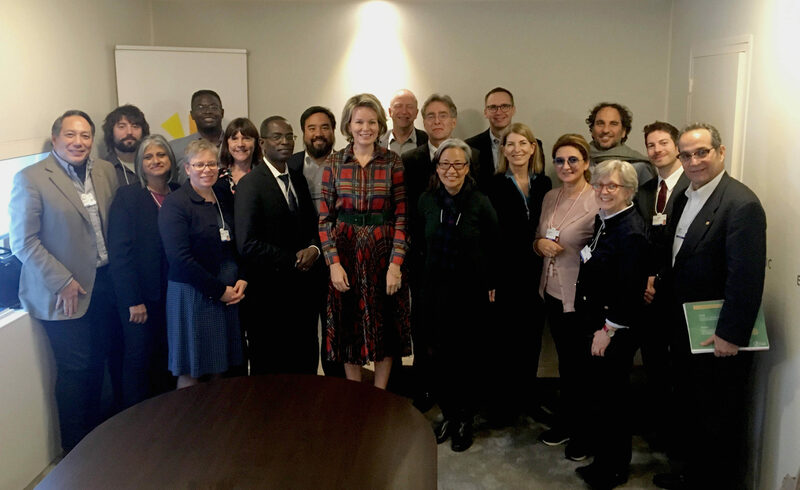 The Schwab Foundation for Social Entrepreneurship community met during WEF 2019 week at a roundtable focusing on scalable systems change through social entrepreneurship, digital innovation, and engagement with governments to increase economic opportunity for all. Fundación Capital CEO Yves Moury at a meeting with Queen Mathilde of Belgium and the Schwab Foundation for Social Entrepreneurship community. WEF 2019 highlighted the importance of collaboration for scalable solutions towardsinclusion. Co-Impact is built on this concept – it is a collaborative of funders focused on systems change. Earlier this month it announced $80 million USD in grants, selecting Fundación Capital as a partner in promoting economic opportunity in Latin America through the Graduation Approach. Rajiv Shah, President at The Rockefeller Foundation, said: “Co-Impact is on its way to becoming the premier platform for global development philanthropy”. Fundación Capital CEO Yves Moury at the “Collaborative Philanthropy in Action: Breakfast hosted by Co-Impact” during the World Economic Forum Annual Meeting in Davos with Co-Impact leadership, philanthropic and program partners. After a transformative WEF 2019, we are thrilled to continue advancing economic citizenship globally & at scale.